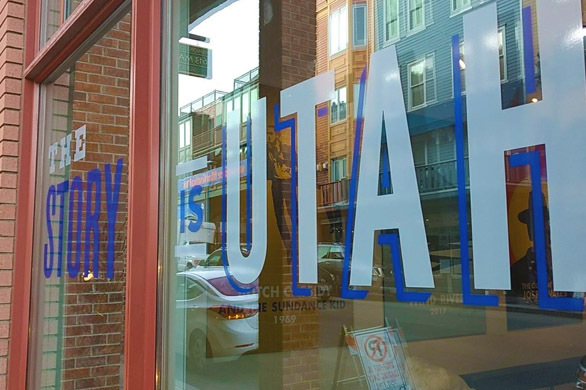 The popular ‘Utah Film Commission on Main’ venue officially opened its doors today! Located in the center of the Festival action on Park City’s bustling Main Street, the Film Commission’s official venue invites locals and visitors to warm up and recharge with snacks and beverages from Utah vendors, complimentary internet access, and a chance to learn about all things film production in state. ‘Utah Film Commission on Main’ is located at 625 Main Street, Park City. Its doors will be open to the public from 10AM to 4PM, January 19-25, with some hours varying depending on private events. For more information, visit film.utah.gov. Contact Debra for any Utah Film Commission press and media inquires at filmpress@utah.gov.